Marina Diamandis, formerly known as Marina and the Diamonds is finally returning to music. According to the singer-songwriter’s Instagram and Twitter, she will be returning in eight days. After three years away from her music career and a change of names, she plans to return to the music industry mononymously as Marina. New interview up on @dazed. Photography by @zoeygrossman. In 2016, Marina told her fans, known as ‘The Diamonds,’ that following FROOT, the album she released that year and the subsequent Neon Nature Tour, she would be taking a hiatus. She said that the hiatus was something she “need[ed] to do creatively,” and reassured fans this wouldn’t be the last of her and that she would return after a “short while.” With the exception of her collaboration with Clean Bandit on ‘Disconnect‘, Marina has stepped out of the spotlight for nearly three years but the “short while” seems to be coming to an end in a week’s time. 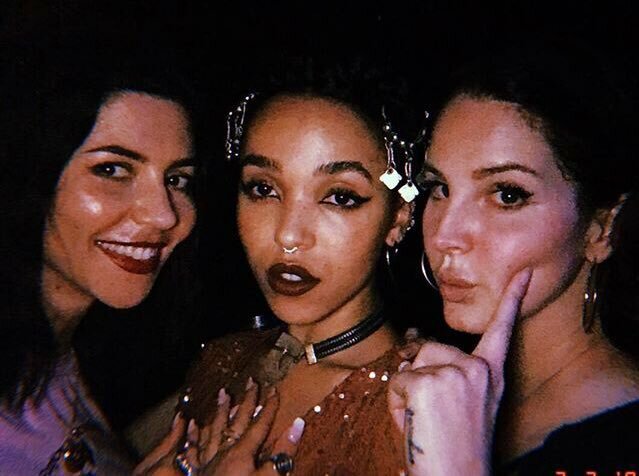 During her time away from music, Marina settled back into the ‘normal’ life, practising yoga and spending time with her friends, including Lana Del Rey herself. As well as this, she’s been producing a “contemporary pop record” back in the studio with “the most talked about writers and producers of the past decade.” Without the cover of her previous personas, Marina hopes to lead a more “free” existence as a singer-songwriter and as a person. The original tweet with an absolutely stunning picture of the ‘new’ Marina was captioned “eight days” which seemed cryptic until mere hours later in which Marina retweeted a response from a fellow Diamond asking her whether this meant she would be releasing new music in eight days. The retweet acts as a confirmation, that yes, Marina finally is back and better than ever. What does @MarinaDiamandis’ Instagram post means??? A new song in 8 days??? Featured image via Dazed Magazine.